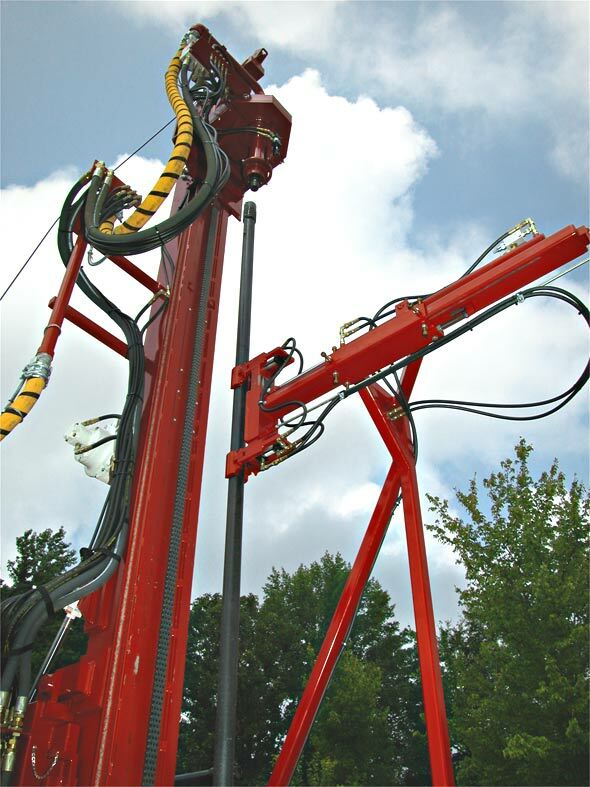 The innovative DeepRock Automatic Rod Handling System has been developed over a period of years as a result of requests from the drilling community for a safe, efficient, mechanical system for handling drill rods. 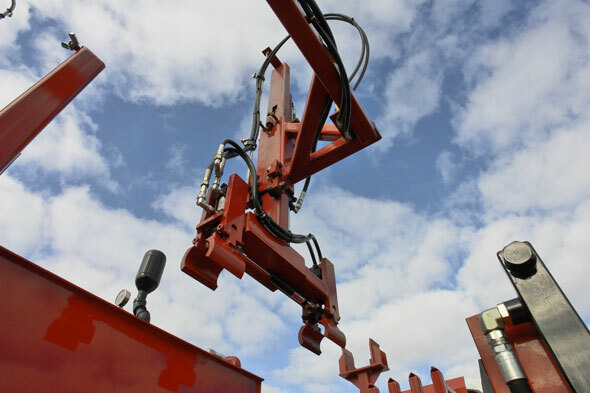 There are two essential components to this rod handing system which has been in service for over 20 years: The DeepRock Automatic Breakout System and the OTTO automatic Drill Rod Loader. They have upset tool joints, which is to say the threaded connectors on each end are larger in diameter than the long section of pipe in the middle. 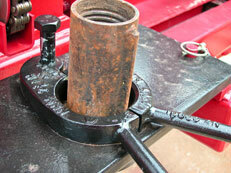 The other feature is a pair of ribs, or fins, or lugs welded at the female end of the drill rod. When the rod is placed in our special bowl and slip assembly it cannot fall through because the upset tool joint is larger than the opening in the bowl. It cannot rotate very far because the welded lugs strike against blocks inside the bowl and slip. The rods are free to move up and down, however, no wrench or clamp is needed to thread a drill rod into and out of the bowl and slip. 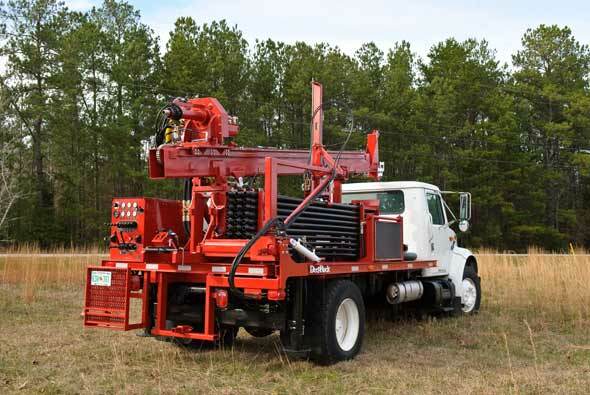 The OTTO Automatic Drill Road Loader utilizes a mechanical arm to swing down and pick up a drill rod, stand it up, and move it into position under the drill head. All this is done with one, easy to use, reliable control. 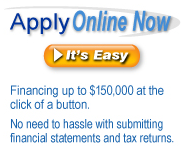 A smart hydraulic system takes the arm through the various movements. There are no critical positioning controls or manual adjustments to get precise alignment. OTTO does everything. 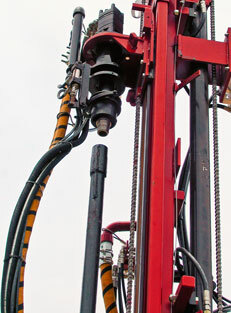 The drilling operator can continue drilling while the OTTO system fetches and prepares to position the next drill rod. The OTTO system has three stacks of drill rods for a total of 300 feet of drilling rod. After using all the rods in one stack the drilling rig operator merely flips a stop plate up which tells OTTO to take rods from the next stack. 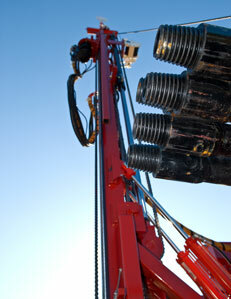 For the first time, it is truly possible for one man to effectively operate a drill rig that does not cost a fortune. 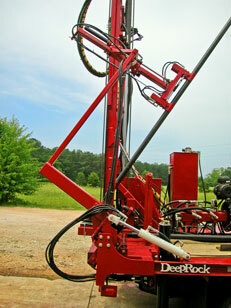 As with all of our products, complete engineering and technical support is provided by DeepRock . In response to our customers' requests for innovative financing solutions, DeepRock has recently partnered with Crest Capital to provide flexible, financing solutions tailored to our customers' specific needs.